How Do You Find Percents Mentally Using Fractions? Some fractions are seen so often in math that it can be helpful to know the percent that goes with it. 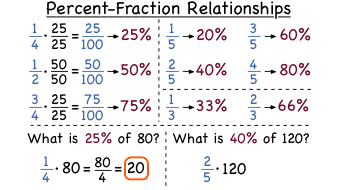 This tutorial shows you some common percent-fraction relationships!